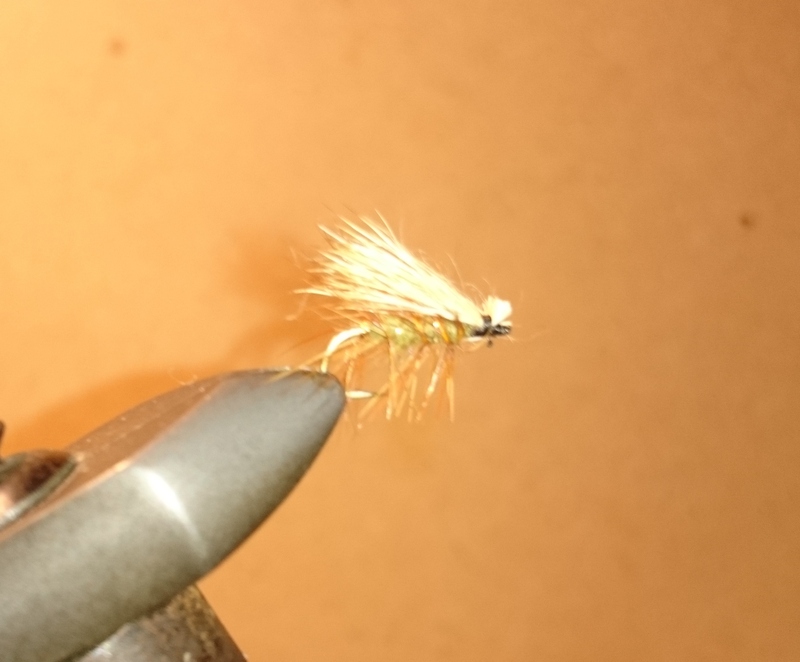 This months fly is the Elk Hair Caddis. Probably one of the most popular caddis patterns ever tied and used. Created in 1957 by Al Troth from Pennsylvania, USA. The Elk Hair Caddis is relatively easy to tie and should be in every fly anglers fly box. 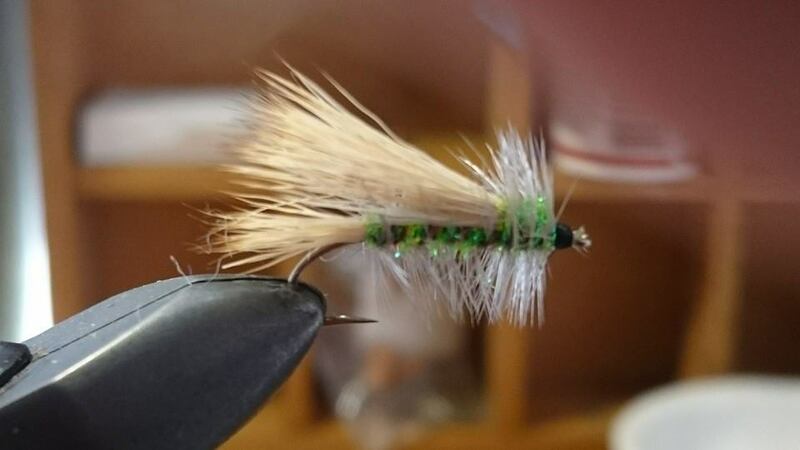 Although tied as a Caddis imitation it can be used in a suitable colour and size to present at just about any fish that is taking dry flies of the surface. A high riding fly that floats very well and is easy to see. One of the deadliest flies in my fly collection, I would never be caught out on the water without at least 2 in my box. This can be tied from size 10 to 18. My preferred sizes for our local waters are 12 – 16. Happy Tying, and have a great New Year!!!! This is a variant of the good old fashioned “Stimulator” a great attractor fly for just about any place that the fish are feeding on the surface. The Sparkulator was designed and tied for fishing as a hopper pattern, however, like the Stimulator it can be used as a searching pattern,for fishing larger terrestrials, and is great as an indicator fly if fishing a nymph dropper. This can be tied in a variety of sizes from 8 to 16.
my favourite size to tie and fish this pattern is 12 – 16.